A free NSW Department of Primary Industries (DPI) app, Drought Feed Calculator, is helping farmers facing drought and rising fodder costs develop cost-effective feeding strategies. 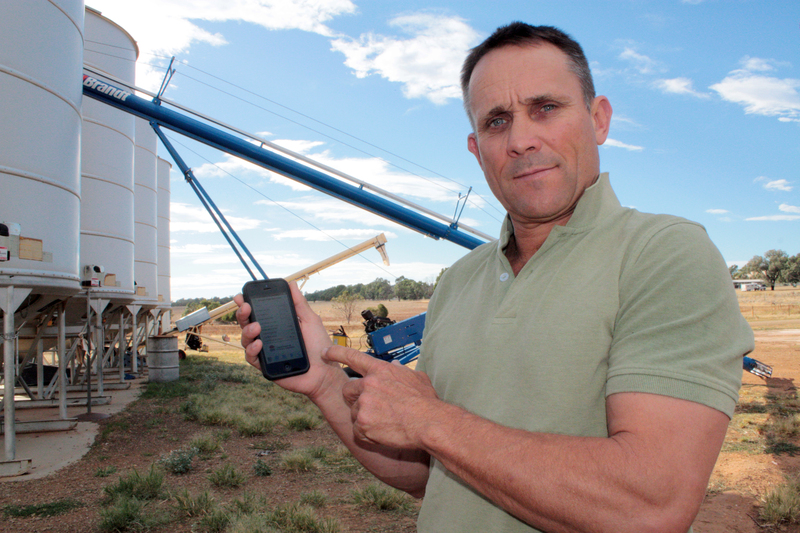 NSW DPI sheep development officer, Geoff Casburn, said the app simplifies feeding decisions. “The app provides estimated energy, protein and dry matter values for 71 different feeds, including hay, grain, silage and alternative feeds,” Mr Casburn said. “In drought situations producers can use the app to quickly work out minimum feed requirements for animals with a range of nutritional needs. Mr Casburn said selecting the right feed can save producers time and money. “Cereal grains are often cheaper in terms of energy content and transport costs compared with hay - we advise farmers to consider delivery costs per tonne,” he said. “The app can provide crucial information, for example a producer with 1000 dry sheep weighing 50 kilograms each can compare feeding costs for three months on either pasture hay at $300 per tonne on farm with barley at $370 per tonne on farm. “Barley contains about a third more energy than the hay and in three months the producer could save more than $4000 by selecting barley. Mr Casburn said feed selection was a key factor in transport costs. “A 45-foot drop deck can carry anything from 25 tonnes of high-density, large square bales of hay to 10 tonnes of small round bales, in comparison a 36-foot tipper can cart 25 to 27 tonnes of grain with higher energy levels, at lower costs,” he said. “Feed quality varies and the app really comes into its own when producers use feed test results. “Laboratory tests, such as those available from the NSW DPI Feed Quality Service, give producers the most accurate value of available feed. Drought feeding and nutrition information is available online, www.DroughtHub.nsw.gov.au or from Local Land Services.